4. Consistency - Our track record speaks for itself. Both consistent with product & service quality, as well as corporate growth & financial performance. Heng Tai Consumables Group Limited ("Heng Tai" or the "Company") is a Cayman Islands company listed on the Main Board of the Stock Exchange. Founded by the current Chairman, Mr Lam Kwok Hing, the Company has been operating in the Consumer Market & Food industry in Greater China for over 25 years. Following the Company’s initial public offering in 2001, we have diversified from just trading fast moving consumer goods ("FMCG") into logistics (primarily cold chain logistics in support of the core business), the trading of fresh fruits and vegetables, fresh fruit and vegetable handling and processing, and agriculture. We are headquartered in Hong Kong with two major logistics hubs in Shanghai and Zhongshan and various supportive depots in other cities, as well as a wide spread geographical reach across China through our numerous partnerships with local and provincial operators. Coupled with a robust PRC network is our global procurement capability. Our global relationships allow us to source from almost anywhere in the world. We currently import products from North America, Europe, South East Asia, and Australasia. We pride ourselves on our professionalism and our uncompromising commitment to delivering high quality products at great value to our target market. All our facilities are properly licensed and are operated according to the highest standards of practice. The Company adheres to the highest standards of management and quality control and holds certification for such practices through ISO9001:2008 and HACCP. Viewed as a “One-Stop Service Platform”, our FMCG Trading Business not only brings consumer products into the Chinese Consumer Market. We provide a complete end-to-end service to brand owners wishing to enter the PRC Market. We currently sell Food and Consumer Products to over 500 different wholesale, retail, and on-premise customers across China including regional wholesalers, top hypermarket chains, 5-Star hotel groups, and top tier restaurants. 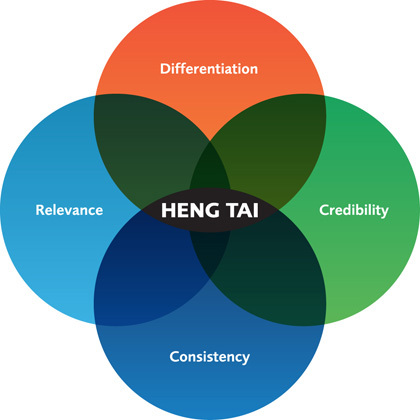 Simultaneously, we also establish e-channel for brand owners to tap into e-commerce market in China. We represent high quality products from five major consumer product categories being packaged foods, beverages, household consumer products, cosmetics, and cold chain products. The Agri-Products Business is quickly evolving into a Vertically Integrated Supply Chain encompassing: Up-stream Cultivation, Mid-Stream Handling and Processing, and Down-Stream Trading. The Company has developed its farmland reserve in Jiangxi over the years, producing a wide range of fruits. Our logistics business is the backbone of the Company's two supply chains. 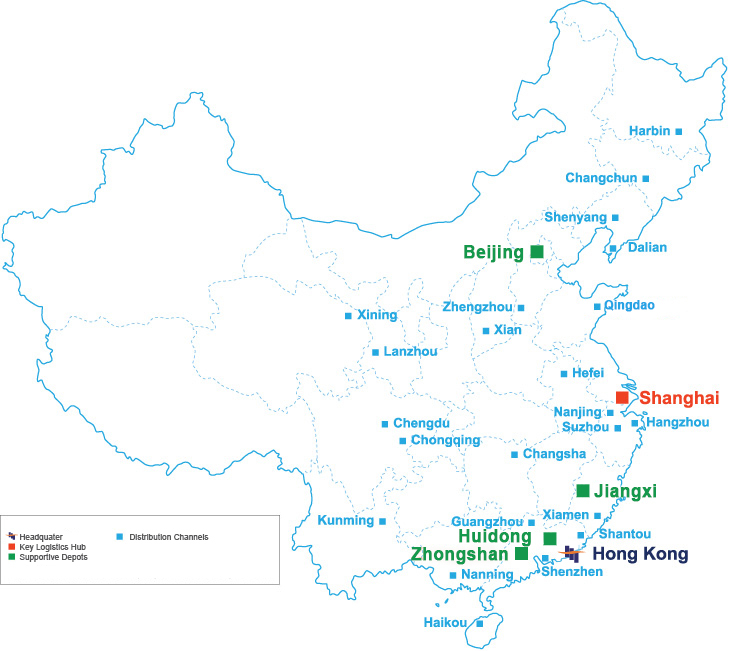 This established infrastructure has hubs in Shanghai, and Zhongshan, and various supportive depots in other cities. These premises provide cold-chain facilities, warehousing, food processing facilities for fresh fruits and vegetables, as well as cross-border trucking fleets for nationwide and regional distribution. For more in depth information, please refer to "Our Businesses" section in our website.